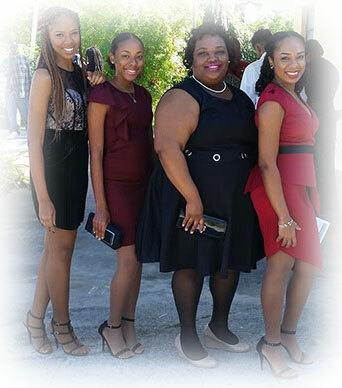 This website was created by Mr. George A. Donathan Jr. with the aide of some extraordinary black women from the Bahamas to provide a portal to promote women of color. My idea was simple; create a way to promote women of color with professional content from women of color. Of course being a man, I was initially faced with some challenges of how do I provide a portal of interest when I had no idea of what topics to post about women through social media. While visiting some relatives in the Bahamas, one of my cousins said they’d been following my Positive Black Brothers website and liked some of the content I provide. She asked me, when was I going to do some thing like that for the ladies. I replied, the problem is that I don’t have any consistent content ideas. She said that she’d be glad to make some content suggestions. My eyes lit up, as this was exactly what I was looking for. I spent the rest of my mini vacation taking notes and suggestions. As soon as I return to my office, I started putting the pieces together from my notes. The ladies to the left started sending articles to post, websites of interest to ladies to review, etc. Although there are additional content providers since first launch, they remain as contributors. They making the suggestions and I go out and implement them. I registered the name in August of 2017 and with the aide of my women contributors, I launched this website June 2018. The “books for sale” portion of the website grew so fast, I had to actually build a separate website for Black Women Authors. I’m using my over 22 years of internet marketing experience to market this website to the major search engines. I already have both websites ranking on the first page of the major search engines. I promised them that I would keep the website active as long as they kept supplying me with content. They’ve kept up their end of the bargain and I’ve kept mine. The design, development and marketing of this website is provided me, a man. However, the content posts and book suggestions all come from positive black sisters. In an age where most people spend their time online, you cannot afford to ignore the importance of online promotion. The traditional mediums have their importance, but there is only as much exposure that you can get from them. Even your social media accounts will have limitations in providing you exposure to new prospects. PositiveBlackSisters.com provides you with an excellent platform to showcase your website. We are not trying to replace any other medium you are using, just to enhance any existing medium. Our niche is simple we cater to positive Black Sisters, Black Women Entrepreneurs and Black Women Businesses, etc..